This size was originally made for Barkåkra Church in Ängelholm, in southern Sweden, where my grandfather, Karl Erik Torssell, is buried. It was from him I learned this profession. 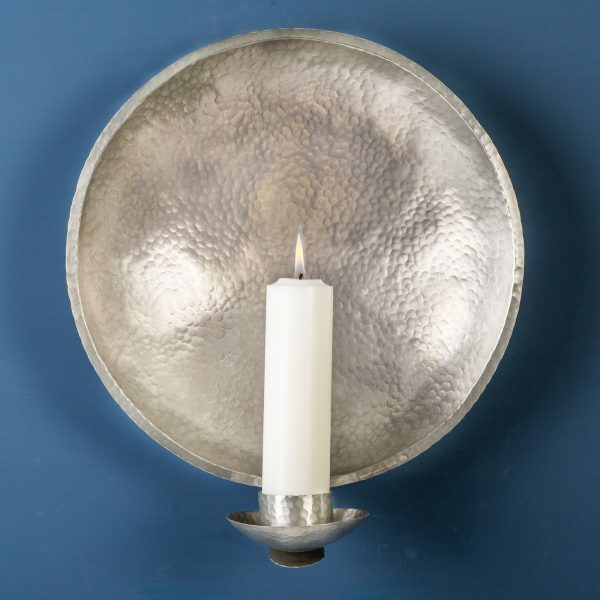 The church wall sconce gives a beautiful shine and is handmade in brass and have later been tinned. 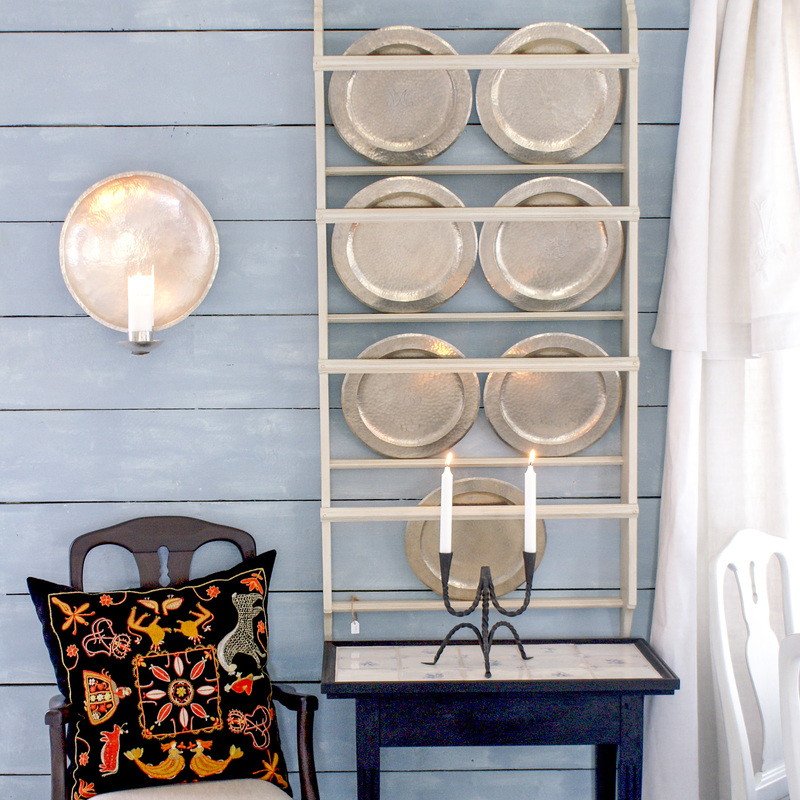 As the pewter (tin) is soft and sensitive to heat, the base, made of brass, will stand for safety if you forget to blow out the candle. It measures 35 cm ø. This product you don't need to polish. Just wash it with lukewarm water if needed. 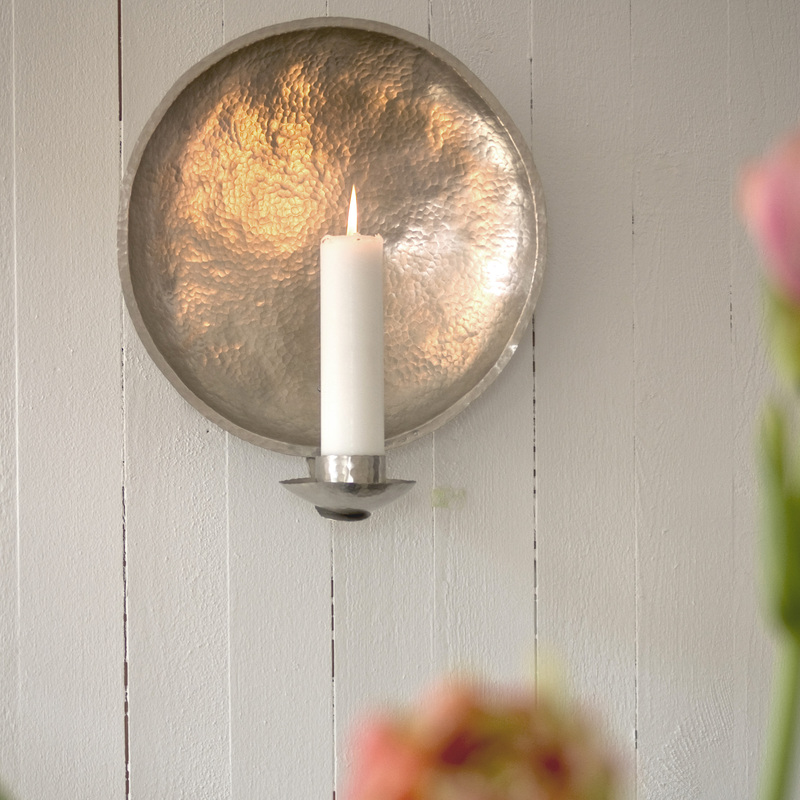 It does, however, require a thicker candle around ø 51 mm. One candle will be provided when purchasing the sconce.